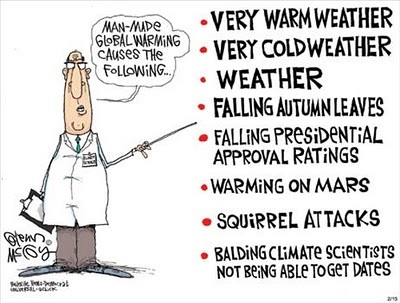 And remember that the Global Warming Hysterics where the ones that mentioned EVERYTHING that happened to the weather as a “proof” of their hysteria. In fact they blamed EVERYTHING on Global Warming, from camel deaths to staff shortages in brothels struggle. And NOW they are ”suddenly” saying “the weather should not be used as evidence against climate change”. Yea sure! The blatant hypocrisy from these so called “scientists” is staggering. This entry was posted on 21 februari, 2010 at 7:34 e m and is filed under Fri- och rättigheter, Miljö - Environment, USA, Yttrandefrihet. You can follow any responses to this entry through the RSS 2.0 feed. You can leave a response, or trackback from your own site.